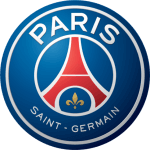 Paris Saint-Germain vs Olympique Marseille predictions for this Ligue 1 clash as two of French football’s giants take part in the 96th Classique. France’s most prestigious derby has served up some incredible ties in the past and with both clubs in tremendous form, the neutrals should be in for a treat here. Read on for our free betting tips and match preview. PSG managed to bounce back from their Manchester United defeat in excellent form in midweek as they thrashed Dijon 4-0 away from home. It was a dominating performance from the Parisians, despite many suspecting there to be nerves following their UCL crash out. This made it eight domestic wins in a row as they continue to march towards the league and Coupe de France double. They have scored 17 goals in their last five games and look completely focussed on just finishing this season strongly before the plans for the next campaign get put into motion. They have kept five clean sheets in their last seven domestic matches and boast the best defensive record in the league with just 15 goals conceded after 27 games, a tremendous achievement for Thomas Tuchel’s men, especially considering that the German’s teams usually put most of their focus on the final third. With every year that passes in Paris, the league takes more and more of a backseat in terms of their long-term goals but with Tuchel still in his first year at the club, he will be desperate to win his first title without any hiccups, so his team will absolutely still be focussed on the competition, even though they have basically already won it due to their 13 point gap over Lille. 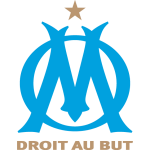 Since Marseille have managed to rally themselves, they have completely turned their form around and look back to their best with Rudi Garcia’s men now unbeaten in six, with five wins along the way rising them up to 4th in the table, a target that seemed completely out of sight a few months ago. They are actually only three points off of Lyon in 3rd and if they could take that golden Champions League spot, there would be outrage within les Gones’ camp. Much of Marseille’s form has been down to Mario Balotelli. The Italian was signed in January following a horrible start to the season in Nice. He has since really raised his game and has rewarded the club with five goals in his seven games so far. He is what they have been missing, as the flair and brilliance of Florian Thauvin and Dimitri Payet was crying out for a focal point to finish off the chances they were creating. The presence of Balotelli has also helped inspire the back-four which have kept four clean sheets in their last six games. They only achieved four clean sheets in the previous 19 matches, which really just outlines how much of an improvement has happened within the team. They were pretty soggy when they last faced PSG in October as they lost 2-0 but Marseille have given themselves the best possible opportunity to match the giants in Paris. Despite PSG’s unstoppable form, they come up against the second most in-from team in France, which won’t be the cakewalk they have become accustomed to in recent weeks. Marseille have scored in each of their last 13 league games and we’re backing them to do so again, even though they are facing a resolute Parisian defence. Mario Balotelli has been a handful for many sides already this season and with him on such a great scoring run, we’re backing him to hit the back of the net here. However, PSG should just be too strong for Marseille. They have brushed past so many excellent teams this season and with them on a run of seven domestic wins at home, we’re backing the hosts to win 3-1. Paris have picked up 74 points after 27 games in Ligue 1 this season, a record at this stage of the competition. Marseille have won five of their last six games in Ligue 1 (D1), after winning only one of their previous eight (D3 L4). Paris have lost only one of their last 56 home games in Ligue 1 (W48 D7), in May 2018 against Rennes (0-2). They have won their last 14 home games in Ligue 1, the best current run in the top five European leagues. Marseille have lost half of their last 14 away games in Ligue 1 (W5 D2), after losing only three of their previous 25 (W12 D10). Marseille have found the net in each of their last 13 games in Ligue 1 (17 goals), only Paris are currently on a better such run (27). Paris striker Edinson Cavani has found the net in each of his last three games in Ligue 1 against Marseille. He has scored 12 goals in his last nine games in Ligue 1. Marseille striker Mario Balotelli has scored five goals in his last seven games in Ligue 1, after failing to find the net in his previous 11.